The PGA Tour is in West Virginia this week for the sixth running of The Greenbrier Classic at The Old White TPC. Angel Cabrera defends the title and Tiger Woods makes his first start since missing the cut at the US Open. As with last week at the Travelers Championship, four places in The Open Championship will be up for grabs at The Greenbrier. The top four finishers not already exempt will earn a start at St Andrews as long as they finish inside the top 12. Tiger Woods plays in this event for only the second time. He’ll be looking to bounce back from his disappointing display at Chambers Bay. But the omens aren’t too good for the former World Number 1. The last time he teed it up in the Greenbrier was back in 2012 and he missed the cut in that event. The Old White course at The Greenbrier originally dates from 1914 and was the work of Charles Blair Macdonald and Seth Raynor. In 2006 Lester George completed a redesign that aimed to restore the layout to play as it had in its early years. After Stuart Appleby won the inaugural Greenbrier Classic in 2010 with a final round of 59 and a four-round total of 22-under-par, the course was toughened up for the 2011 edition. 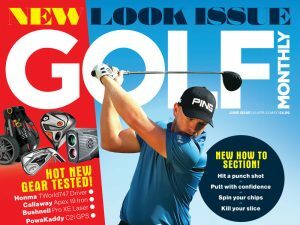 The alterations made had the desired effect and Scott Stallings’ winning total the following year was 12 shots higher. Last year, Angel Cabrera posted two rounds of 64 on Saturday and Sunday to finish two clear of George McNeill. It was his first victory on the PGA Tour since the 2009 US Masters. The Greenbrier has been a regular host to professional competition over the years. The club’s Greenbrier Course was used for the Ryder Cup matches in 1979 and the 1994 Solheim Cup. It was also host to a Champions Tour event from 1985-87. The weather this week looks threatening and rain and thunderstorms seem more than likely. 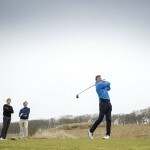 Webb Simpson – He has a great record around this course with three top-10 finishes in his last four starts. He could well contend again this week. Bill Haas – He’s been consistent if not spectacular in 2015, but is always there or thereabouts. He lost out in a playoff for this event in 2011. Graham DeLaet – It’s high time the Canadian got a victory. He needs to be more aggressive coming down the stretch and he might just do it. He was fourth last week. Key hole: 18th. Unusually, The Old White Course finishes with a short par 3. At just 175 yards, it’s a birdie chance. The tee shot must be fired over the river to a green surrounded by bunkers.